This International ride has been exclusively brought for the very first time to India at AATAPI WONDERLAND. You slide down with high speed seated in a tube from a tall ramp inclined at the end to launch you in the air for the biggest leap of faith in your life. 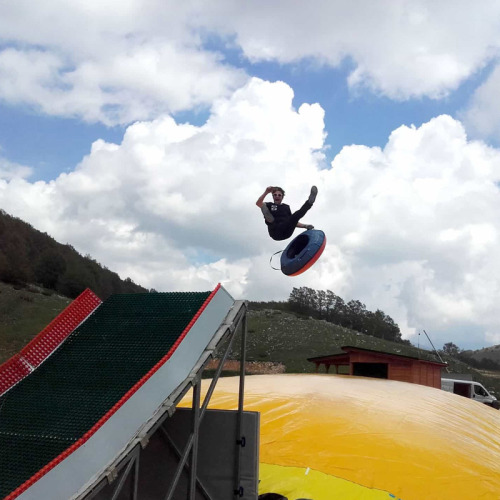 This ride takes your breath away while giving you an experience of floating in the air just before you safely land on a huge air pillow. Never miss this ride during your visit to our Theme Park.